I’m using Peco Insulfrog turnouts. I like the way the points throw, the stability and the tie plate detail. But there are some drawbacks. 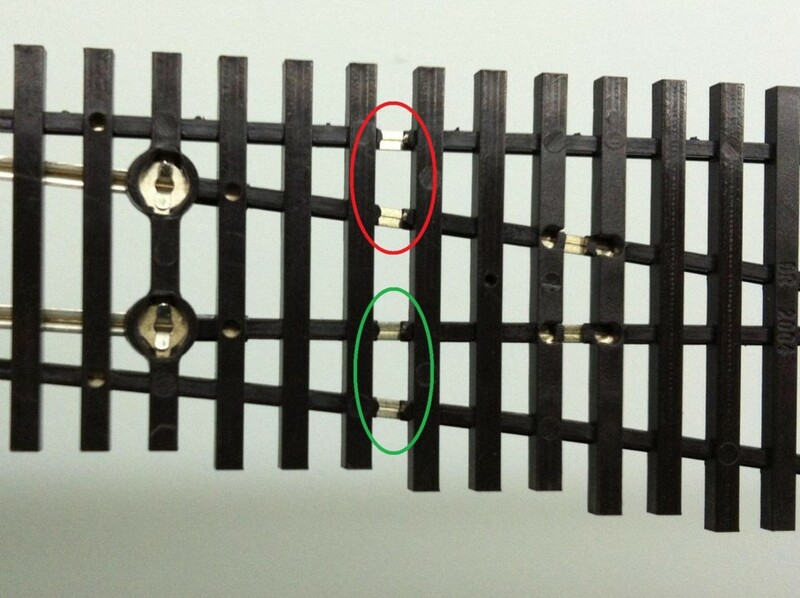 One drawback is that the point, closure and wing rails are powered by the points making contact with the stock rails. 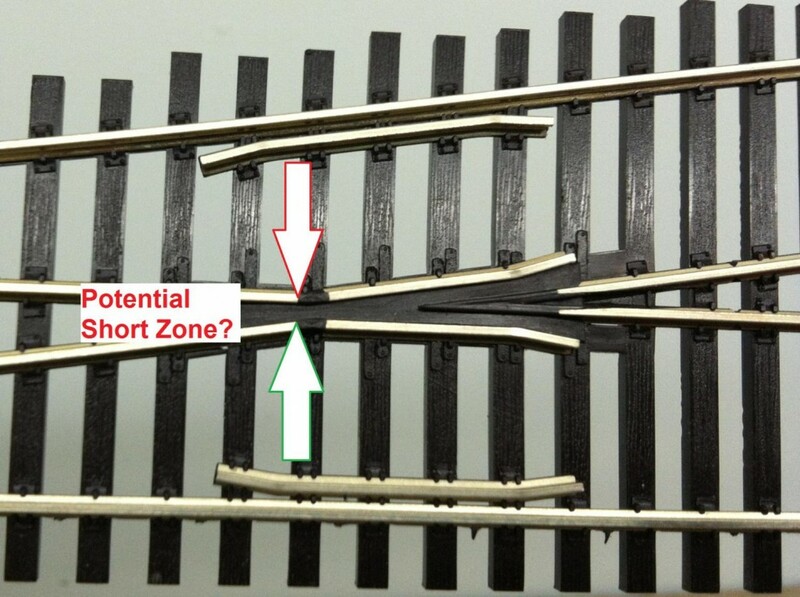 This could be a problem because it relies on the points making good mechanical contact on clean rail, if the rails get dirty, there may be no power. I’ve noticed that the Insulfrog turnouts have ties cut back beneath the turnout which would allow you to easily jumper the stock rails to the inner rails of the turnout. Is it OK to jumper these rails? I see a couple of potential short zones: where the closure rails meet the insulated frog, and where the insulated frog meets the frog rails. Should I jumper the stock rails to the closure rails? Trainboard: Should I Jump an Insulfrog? Model Railroad Forums: Should I Jump an Insulfrog? Do you still have the instruction sheet that came with the turnout? I seem to remember something in glancing thru them. I will look in the trainroom and see if I still have mine. I still have the instruction sheet. It warns of the potential for shorts and recommends placing insualted joiners on the wing rails. This keeps the inactive inner rails dead to prevent shorts. So jumpering would probably be against recommended practice. I’m considering it anyway because I’m concerned about eventually having contact problems and not getting power to the inner rails.